Welcome to Super Chemfab Engineers and Consultants Private Limited. Designer, Engineer and Manufacturer of High Precision Engineered Industrial Supplies. The company was established in the year 1983. Our Online business enquiry and Competitive prices help us to achieve a present repute in the market. Strong business ethics, highly effective and durable industrial supplies are the reasons behind our success. S.l. Enterprises, Indian Glycols Limited and Shree Bhawani Paper Mills are some of our reputed clients. Diesel Storage Tanks to Government of Afghanistan, Effluent service to ONGC URAN under EIL inspection and Skid Mounted M.S. Rubber Lined Tanks for ONGC are the projects undertaken by us. Sugar manufacturing, Municipal water conditioning, Food and Paper industry are some of our application areas. 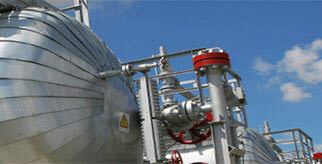 We offer a wide assortment of Industrial Tanks, Process Equipment. We present a unique range of Process Equipment that are a class apart. Our organization is highly involved in providing an impeccable range of Industrial Tanks that are cost effective.